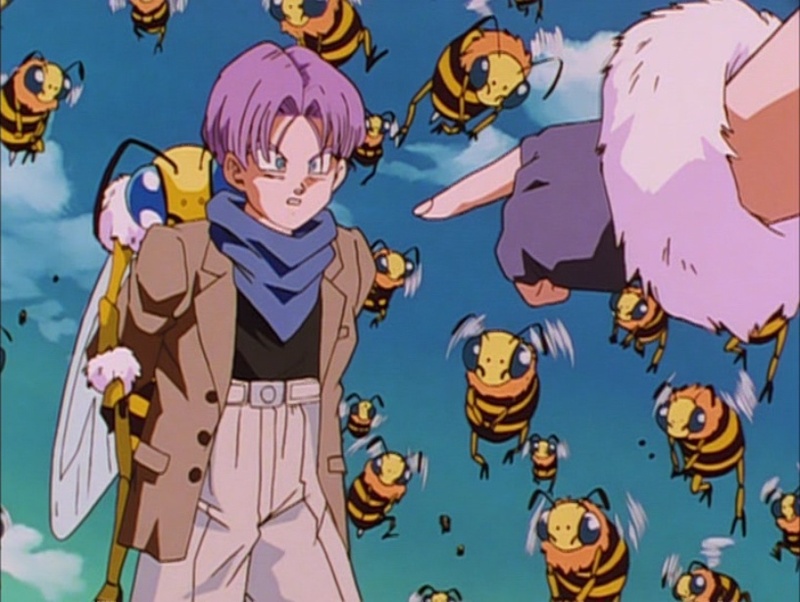 Everyone always hates on Dragon Ball GT, mostly because Akira Toriyama wasn’t involved, but it’s plenty strange and there’s enough wacky crap going on to make it fun. In a lot of ways it’s more enjoyable than Z, because it mixes some of the action established there with the whimsical adventure aspects of the original Dragon Ball taken to an intergalactic level. I wrote a big feature on the series, which should be popping up when the latest issue of Otaku USA drops. I’ll be sure to mention when it’s on shelves if anyone wants to check it out, but it probably won’t help explain the image of Trunks carrying a queen bee on his back.